1.On Christmas they called it truce and sung. 2.Over 3000 of Britain's motor vehicles they were turned into ambulance. 3. 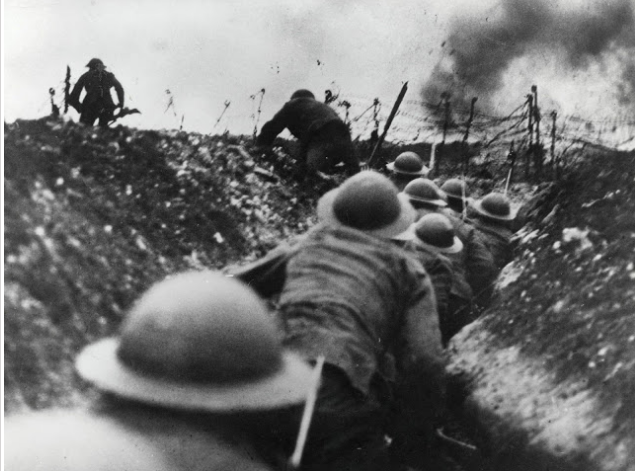 WW1 began on July 28, 1914 and lasted until November 11, 1918. 4.During WW1,dogs were used to carry messages in capsules attached to their body. 5.The two main sides were the Allies, which included France, Great Britain and Russia; and Germany and Austria-Hungary. This morning we had an important assembly to remember the people who served us in the WW1 and we played Bugle-The Last Post.Mrs Flavell had put the flag half way down the pole.I felt sad and was just about to cry during the song. I have been searching about WW1 and found out these facts and that WW1 happened 100 years ago.The Britain motor vehicles were turned into ambulances. Excellent work sharing what you found out about the World Wars Danielle.